A Shropshire solicitor who specialises in employment law has highlighted a ruling against employment tribunal costs. The Supreme Court has handed down its long awaited judgment on fees for those bringing employment tribunal claims – ruling them as unlawful. Keir Hirst, who heads the employment department at Shrewsbury-based Wace Morgan Solicitors, says that the step follows a four-year legal battle which challenged the government over the legality of its introduction of the fees in 2013. 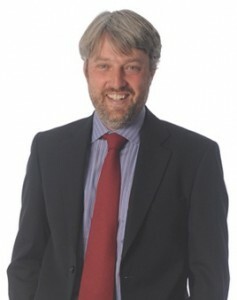 “In this Landmark decision, the highest court in the UK has ruled that the government acted unlawfully and unconstitutionally when it introduced fees for bringing an employment tribunal claim,” said Mr Hirst, who has specialised in employment law for 17 years and has represented clients at tribunals all over the country. The judgment also means that anyone who has paid such a fee may be entitled to a refund, meaning the government could have to repay up to £32m to claimants. For further information please contact Keir Hirst, Head of Employment, at Wace Morgan Solicitors on 01743 280 100.